Birmingham holds the nation's best record of long-term income growth according to a new Bizjournals study that looks at 25 years of changes in per capita income in the 100 largest metros in the country. Birmingham is listed among the 150 most affordable cities in the US and is praised as a city "that hasn't lost its Southern soul." 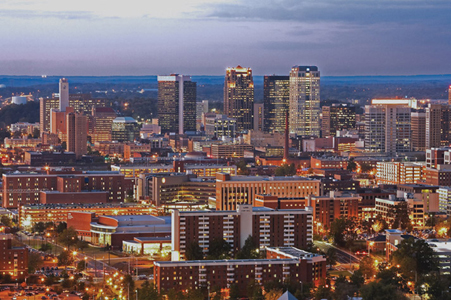 The University of Alabama at Birmingham (UAB) drives the metro economy. Its medical center ranked #3 in the nation (behind only Mayo Clinic and Mass. General) in overall quality of health care. (Source: The Best in Medicine). Meanwhile, Birmingham was rated #1 in the nation in Health by Ladies Home Journal.